It was a cold, rainy, windswept Friday afternoon. I made my way from the Civic Center garage, grateful for the umbrella I keep in the car and the good conversation with a friend as we walked across the street to the Public Library to attend the Dignity Fund Coalition (DFC) sponsored interview with Mayor London Breed. The Dignity Fund was a measure on the 2016 June ballot to raise additional funds to meet the needs of the city’s growing population of seniors and adults with disabilities, expected to double by 2030. The Dignity Fund targets programs and services to help low and low middle-income seniors and adults with disabilities to stay in their homes and in their communities. The DFC, a group of senior advocates, senior community organizations and senior-serving nonprofits, successfully made their case for the need for more funding to support the health, wellness and continued social engagement of the fastest growing segment of San Francisco’s population. The ballot measure passed with a two thirds majority vote. The Dignity Fund is administered by the Department of Aging and Adult Services (DAAS). It is required to have a needs assessment conducted every 4 years and a planning process to provide services that assures equity and ensures the city’s diverse communities are well served. It also establishes an Oversight and Advisory Committee to work with DAAS. Shireen McSpadden, DAAS’s Executive Director, was invited to speak about the services and programs offered by the department and to describe the planning process for the Dignity Fund, initiated in 2017–2018. In the spirit of the day’s event, McSpadden first spoke to how grateful she feels to work in a city where people care and want to work together—providers, seniors, adults with disabilities, advocates, Supervisors and Mayors on behalf of seniors and adults with disabilities. McSpadden went on to explain that DAAS is charged with planning for the needs of seniors and adults with disabilities and how best to provide social services to meet those needs. Much of the work, transportation, meals, legal assistance, health and wellness programs are contracted to community partners, nonprofit senior serving agencies. DAAS staff are direct providers of in-home services, adult protective services and act as the public guardian when people are unable to care for themselves. The results of the Dignity Fund needs assessment are a mix of strengths and challenges. Most of the people using services report having a positive experience and of highly valuing the programs that promote community and social change. The results indicate that DAAS services and programs are effectively serving older adults with income-based needs and disadvantages, and that the racial diversity of people using DAAS services mirrors San Francisco’s diverse ethnic groups. Yomi Wrong, a disability advocate and journalist, was the event moderator. She also had served as the moderator for the DFC Mayoral Candidate Town Hall meeting. Wrong’s questions were a follow-up from the Mayor’s response to questions at the Town Hall meeting. Questions focused on housing, jobs, work force issues for in-home care providers, increased social and civic engagement and visibility of seniors and adults with disabilities and their issues at City Hall. The Mayor responded that she is moving forward on the housing promises she made during the campaign. She is acting on small building acquisitions, rehabbing buildings and expanding subsidies. The city is building modular housing, but with found resources, and will not have to put a modular bond on the ballot. The Mayor cited one of the first modular projects in the pipeline is a proposal to fund 258 units of modular housing for people and adults with disabilities. Mayor Breed made it clear that she is committed to delivering on her promise to build a minimum of 5000 affordable housing units each year. She announced, “We just hired a housing delivery person. The city is its own worst enemy in building; we can’t produce housing fast enough because of all these codes that delay, sometimes for years. We are going to cut out this obstructive bureaucracy. You will have 6 months to pass all codes. I will cut back on these requirements. Wrong asked Mayor Breed about her plans for workforce housing. The Mayor replied that increasing the affordable housing stock increases opportunities for housing for everyone. But one of the issues that the Mayor is very concerned about is housing for caregivers. She cited the need to protect live-in caregivers, who are forced to move out when the person they are caring for passes away. She would like them to be allowed to stay where they are until suitable housing for them can be secured. Wrong asked what can be done to increase visibility of elders and adults with disability issues. Mayor Breed responded by inviting seniors and adults with disabilities to volunteer to serve on city commissions and boards. She encouraged people to be proactive and to apply for these positions. The Mayor also offered that she will be hiring someone knowledgeable about senior and disability issues to be a community liaison in her office. This is good news. Wrong asked about what is being done concerning affordable and universal long-term care. The Mayor replied: “One of the first things that I did was to help cover the gap funding for board and care homes.” She also wants to help people to navigate the long-term care system. She would like the city to provide more social workers to connect people to the services they need and to assist seniors and adults with disabilities through care and housing transitions. Two areas the Mayor admitted to making little progress on in her short time in office are better wages for long-term care workers and improved access to technology for seniors and people with disabilities. She did express her commitment to taking on these issues in time. Lastly, Mayor Breed reaffirmed her support for SB 1045, the bill to establish a pilot conservatorship program for persons unable to care for their own health and well-being due to serious mental illness and substance use. It was a friendly exchange between Breed and Wrong and a warm and supportive audience of seniors, people with disabilities, advocates and senior service providers. The Mayor appeared relaxed and comfortable. She shared many stories about being her grandmother’s caregiver and how she experienced firsthand the stress and difficulties navigating the long-term care system. Her stories resonated with the audience. But it was clear that the Mayor’s focus these past 6 months has been primarily on housing and homelessness. This was no surprise to anyone; housing and homelessness are what Mayor Breed campaigned on. The city desperately needs to see a change for the better in our housing crisis. But will tackling the huge challenge that is San Francisco’s housing crisis leave little bandwidth for other pressing issues and needs? A community liaison in the Mayor’s office gives me hope that will not be the case. 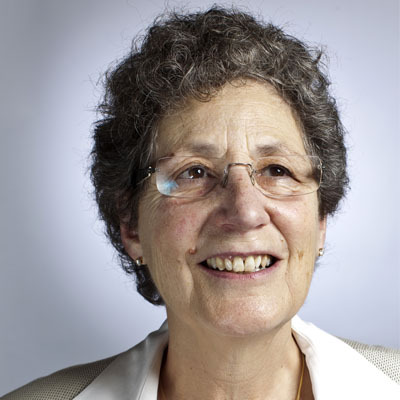 Dr. Marcy Adelman, Co-founder of the nonprofit Openhouse, oversees the Aging in Community column. She is a psychologist and LGBTQI longevity advocate and policy advisor. She serves on the California Commission on Aging, the Board of the Alzheimer’s Association of Northern California and Northern Nevada and the San Francisco Dignity Fund Oversight and Advisory Committee.